Combinations that include Arctic Island Caribou,Central Barrenground Caribou, Muskox, Wolf, and Wolverine and by special arrangement can include Barrenground Grizzly. These are all two week adventures with 1/1 guiding and use of fly out spike camps. 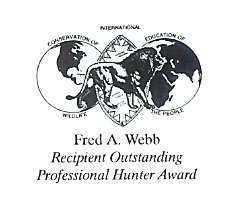 Until the battle with US F&W over trophy imports is settled, we have suspended booking polar bear hunters. 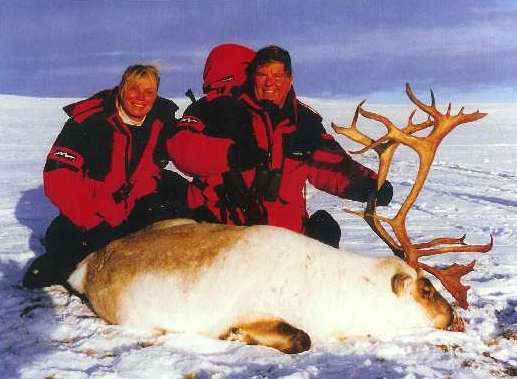 For your Arctic Trophy Slam you need the Arctic Islands Caribou and Greenland Muskox. With our central Arctic Inuit guide crew we have successfully hunted these animals for nearly twenty five years, from bases on the coast of Victoria Island. Throughout the years we have evolved this hunt to the point where it is both the most adventuresome and the most productive in the north. This is done by the time tested technique of hunting in the right place at the right time, for these hard to achieve trophies. •The Right Place. Across Coronation Gulf from our home in Kugluktuk/Coppermine, we have two air strips, relics of the Cold War. This allows us the use of twin engine, wheel equipped aircraft, to service our spike camps. We bring a twin Otter and two pilots up from Yellowknife and we are equipped to provide safe and successful transportation. • The Right Time. Late September into October when the animals are numerous, the skins are in prime condition, caribou antlers are hard and clean. Weather is normally moderate, similar to like deer hunting season in Maine or Montana. • The Method. The Webb team resides in Kugluktuk, which is reachable with twice daily commercial scheduled aircraft from Yellowknife. 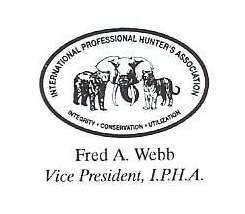 We have two locations on the Island, and to each location we send two guides and two hunters. Hunting is by spot and stalk, hiking in easy terrain, with ATV back up. All meat is harvested and given to the elders in our community except for what the client desires to take home. • How to book. Inquire at our office for current openings. Phone 1-250-577-3708, we are on Pacific Time Zone. Upon receipt of deposit all details are worked out and you are on your way to a super great Arctic adventure.